Moët & Chandon Champagne is painting the town pink during its visit to Glasgow this Easter, says Peter Ranscombe. 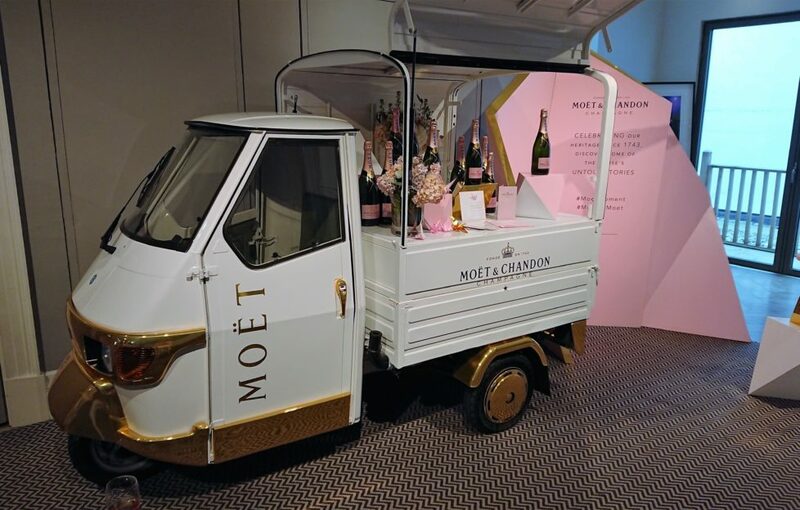 AFTER a tour that took it to the Balmoral hotel in Edinburgh for Valentine’s day and the Corinthian club in Glasgow for Mother’s day, Moët & Chandon’s cute wee Champagne truck has rolled into the Dear Green Place’s Blythswood Square hotel for Easter. 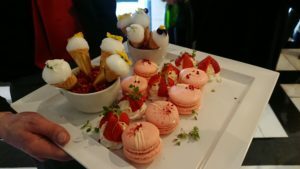 The venue, which has recently been rebranded under InterContinental Hotel’s luxury Kimpton label, is preparing to launch its Bo & Birdy restaurant and is hosting the Moët truck to wet its new arrival’s head until 31 May, serving afternoon tea (£47.75) or a strawberry trio (£21) in the hotel’s salon between midday and 5pm. 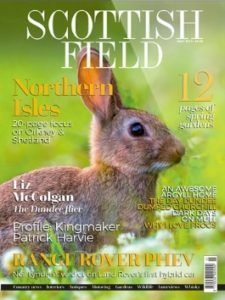 When I reviewed the hotel back in 2016, I was really impressed with the quality of the rooms and the warmth of the welcome, but the restaurant perhaps lacked the impact of eateries at other five-star establishments, such as Number One at The Balmoral or The Pompadour at The Caledonian. It’ll be interesting to see what the team does with the revamped restaurant, which promises a menu that specialises in “farm to fabulous comfort food”. 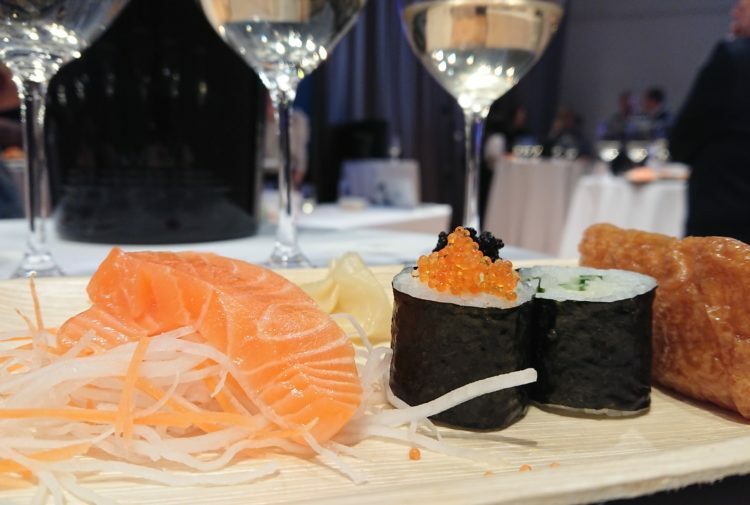 Yesterday’s launch event included canapes from the new eatery’s summer menu, which showed off the diversity of the Moët & Chandon Rosé Impérial (£12.75 for a glass, £75 for a bottle, £150 for a magnum) as a food-and-wine matching fizz. Moët’s rosé is full of lemon, raspberry and strawberries with cream on the nose, with fresher citrus and red fruit flavours coming to the fore on the palate. With nine grams of sugar per litre of wine added in the dosage – the magic mixture that most winemakers use to balance their Champagnes – the sparkler has a roundness that balances its acidity and adds to its versatility when pairing with food. My favourite savoury match was with a mix of smoked duck and plum on oatcakes, which brought out more savoury redcurrant notes in the wine. The wine’s fresh acidity also worked well with the arancini balls, cutting through the richness of the cheddar cheese, which was wrapped around rice and encrusted with breadcrumbs. It worked less well with the beef croquette, which was already sharp with red wine, and with the sharpness of the tapenade. Where the fizz came into its own though was with the sweet canapes, especially the meringue nests with cream and fresh strawberries – sometimes simpler is better. 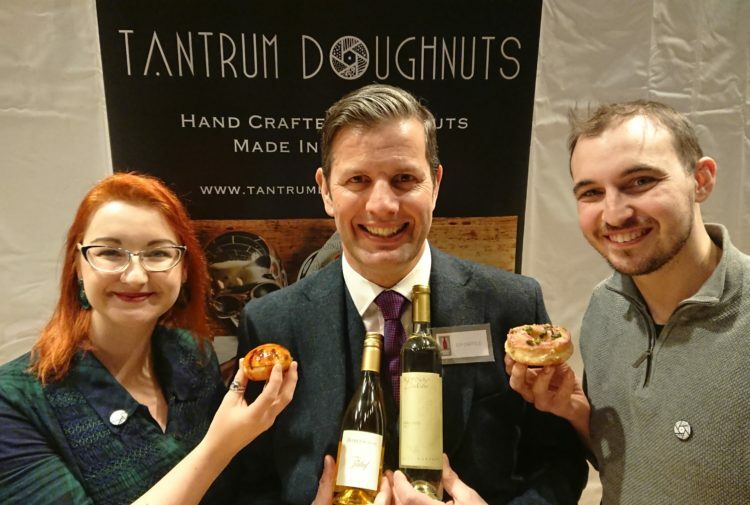 The sweetness of the cream and the meringue balanced out the acidity of the wine, emphasising its fruit flavours, while similar culinary magic took place with the bright pink macarons, which also brought out the sweeter notes in the wine. In contrast, an interesting Champagne sorbet served in a tiny wee cone highlighted the lemon flavours hidden amongst the bubbles. 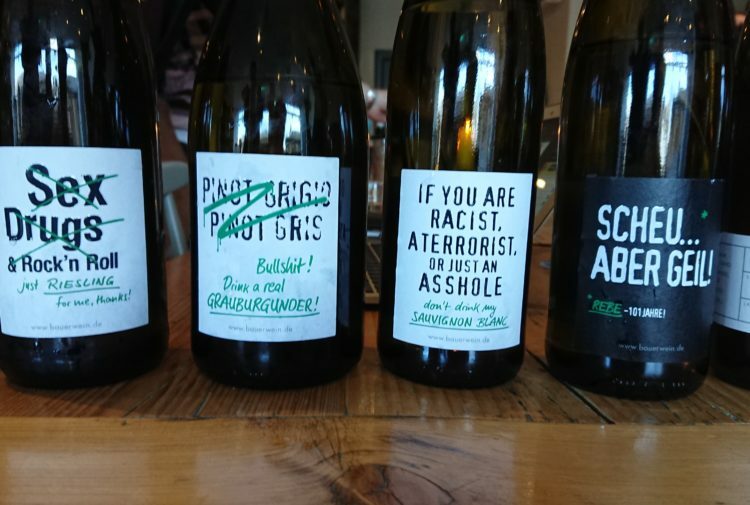 It’s a crying shame when Champagne is relegated to mere aperitif status, with diners often moving onto “proper wine” over dinner; let’s hope Bo & Birdy’s partnership with Moët is a sign that the restaurant will celebrate the food and wine matching qualities of sparklers throughout a meal.